The most popular and powerful superhero team of the time, The Fantastic Four, was invited – by ‘an African chieftain’ (as Reed Richards refers to him) – to a mysterious African country. The invitation came with a technologically-advanced flying craft, which was meant to fly them to their destination. “How does some refugee from a Tarzan movie lay his hand on this kinda gizmo?”, asks The Thing, incredulously – giving voice to the attitude prevalent at the time when it came to pop culture portrayals of Africa and Africans and reflecting widespread negative stereotypes. Stereotypes that would not just be challenged, but broken in fine fashion when the four superheroes would finally reach Wakanda – an African utopia scientifically far advanced than any on Earth, a prosperous nation in harmony with its past and rich in culture. The final blow to any preconceived notions about Africans that the Fantastic Four might’ve had would be dealt by the ‘African chieftain’ himself, T’Challa, a man with a genius-level intellect and who – far from being a ‘refugee from a Tarzan movie’ – was the leader and ruler of Wakanda. More importantly, T’Challa was Black Panther, powerful enough to defeat each individual member of the Fantastic Four. And so it was that in Fantastic Four #52/53 the world would finally get its first Black superhero. Created by two legends at the peak of their creative powers, Stan Lee and Jack Kirby, to address what they felt was a gaping hole when it came to positive Black characters, Black Panther was more than just Marvel’s way of ensuring Black representation in comics. Making his first appearance at the height of the 1960s civil rights movement in America, Black Panther also reflected – if not explicitly – the politics of the time. Given how some stereotypes still persist to this day, it is a credit to the progressive thinking and vision of Lee and Kirby that back in the 1960s they would use the power they had over pop culture, with great responsibility, to make a statement. The Wakanda of Black Panther was not a backward ‘uncivilised’ country from the ‘dark continent’, but a nation that was far ahead of any other, primarily because it had never been colonised and thus, was not just in control of its own natural resources (not least the precious Vibranium) but could also see an uninterrupted continuation of its own indigenous culture(s) in the absence of a foreign culture imposing itself upon it. Wakanda didn’t need a saviour bearing the white man’s burden to progress; it had its own enlightened leaders and people to make their choices for them. 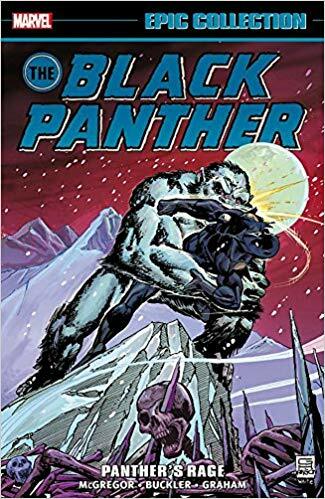 Black Panther and Wakanda, as imagined by Stan Lee and Jack Kirby in 1966, can rightly be spoken of as being amongst the first blooming of Afrofuturism, many years before the term that refers to the cultural aesthetic that lies at the intersection of futuristic science fiction, African culture and Black identity was even coined (by Mark Dery in his 1994 essay, Black to the Future). Since then, more than most Black superheroes that followed in his footsteps, Black Panther has always been the canvas upon which the dreams, aspirations, possibilities and ‘what-ifs’ of Black pride has been painted. Don McGregor, then a proofreader at Marvel Comics, would voice his concerns about Marvel’s new series, Jungle Action, which was a reprint title of the ‘wild jungle’ genre of comics from the fifties – comics that perpetuated old stereotypes by portraying white people saving Africans or with Black people as villains. McGregor thought it was a shame that – in the 1970s – Marvel should be publishing such stories and that it should instead have a Black African hero in the title. 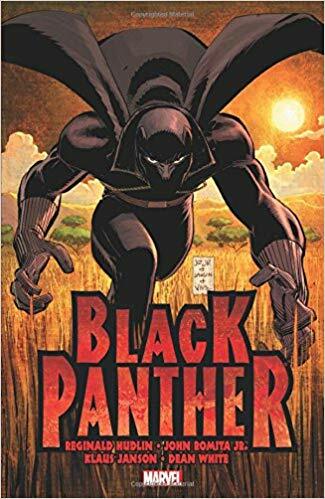 Perhaps because of this, Marvel’s editors decided to add new material to its reprint title, and McGregor was given the responsibility – as a challenge to ‘do better’ – of writing Black Panther, on the condition that the stories would be set in Africa. Don McGregor would seize this opportunity and, with a team that included Rich Buckler and Gil Kane, would write over the course of two years from 1973 to 1975 what would become one of Black Panther’s defining story arcs, Panther’s Rage, and in the process set the foundation for the format of the multi-issue story arc (to be collected later in single editions). It was during McGregor’s run that the character of the antagonist Killmonger would be introduced, and in one of the sequences Black Panther would travel to Georgia, U.S.A. and – in keeping with the tradition of the world’s first Black superhero being a realisation of things that could’ve been – find himself emerging on top by way of a punch or three and an epic drop-kick in his face-off against the white supremacist organisation Ku Klux Klan (the result of Marvel editors asking for more white characters to be added!). After more than a decade of hits and misses – including a solo run by its co-creator Jack Kirby – the first Black superhero would find himself in the hands of the first Black writer-editor to make his mark at the Big Two of comics, Christopher Priest (not to be confused with the British Sci-Fi author). 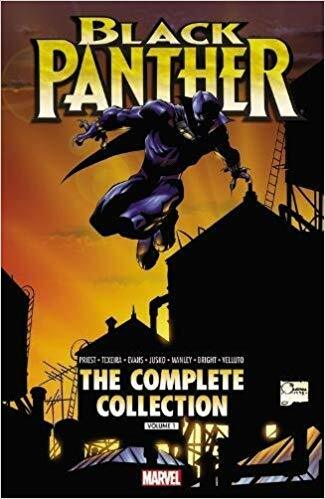 Considered the truly classic run on Black Panther, Priest, as the first African-American to write the character, would bring to the superhero a voice never heard before. Priest’s 62-issue run of the Black Panther would put the focus back on T’Challa as the king of Wakanda and not just as another superhero, the result of which can be seen in the costume changes that happened during his run. He gave the Black Panther costume the gold necklace and, with other accoutrements, a truly regal look worthy of the leader of the world’s most advanced nation. Priest would expand the world of Black Panther not least with the introduction to the Black Panther canon of the sort-of-bumbling US agent Everett K. Ross and, more importantly, the group of fierce and all-female warriors who are the bodyguards of T’Challa – the Dora Milaje. The first issue of Black Panther: A Nation Under Our Feet went on sale and went on to become a best-selling comic. 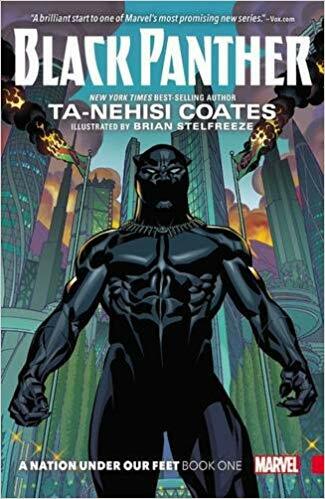 Coming after yet another lull in terms of building on the Black Panther character and the world of Wakanda – with the notable exception of Reginald Hudlin’s short run that introduced Shuri, T’Challa’s younger sister, to the canon and saw him marry X-Men’s Storm – Ta-Nehisi Coates’ take on Black Panther was much anticipated and it didn’t disappoint. An author and a journalist known for his writings on social and political issues especially those that concern African Americans, Coates – along with the artist, Brian Stelfreeze – built on all that had come before, using the work of Christopher Priest and the aforementioned Reginald Hudlin, as the recent foundations for his take on Black Panther. A take that was as subversive as it was refreshing in its treatment of contemporary issues including the empowerment of women, putting the lens on the lives of individual characters and questioning the very basis of the principles and systems that had so far made Black Panther and Wakanda what they are, with the former struggling – as a hero, and as a king – to do right by the people he calls his own. 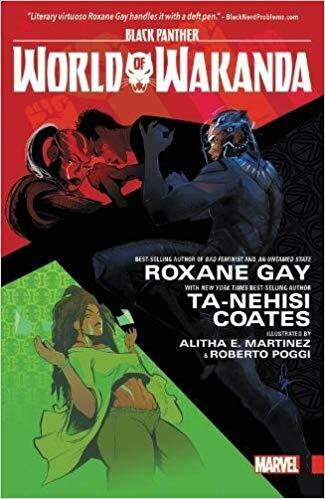 Beyond just the trials and tribulations of Black Panther, Coates would also expand the Panther-verse in more depth, the result of which can be seen in the spin-off series World Of Wakanda, written by the first two Black women to ever write a series for Marvel comics, Roxane Gay and Yona Harvey. February, 2018. Black History Month. Afrofuturism blossoms on the big screen in all its many-splendoured glory. The eighteenth film in the Marvel Cinematic Universe (MCU) is released. It’s called Black Panther and is brought to the screen by what is almost an all-Black cast and crew, both behind and in front of the camera. If films of the past had token Black people, Black Panther had ‘Tolkien’ white guys and exactly two of them. The Ryan Coogler-directed film would go on to become a cultural phenomenon and a worldwide success. Black Panther goes beyond being just another superhero film by being a film that breaks many moulds. Seen from the perspective of an interested moviegoer who is not a comic book fan, it’s not a film – unlike say, Infinity War – that requires you to have watched a dozen movies to make sense of what’s going on. It’s not a typical superhero origin story, laboured in its backstory, to bore people who are not into comics. What Black Panther is instead, is a film that can be walked into cold. It is a film that celebrates a non-Western culture, a non-white mythos, in which lies hope for many people that such a thing is possible and commercially viable. To be specific, Black Panther celebrates Black culture, the diaspora and all of its African roots in all of their glory. Drawing upon all the aforementioned Black Panther stories that have come before, the film uses elements familiar to comic fans to present something that is more than the sum of its parts. And for all of this and all the enjoyment, lighter moments included, Black Panther does not flinch from addressing issues of colonialism, Black identity and current political thought. The first genuine Afrofuturistic blockbuster from Hollywood, Black Panther is a movie that for many across the world showed Black people in a feature that celebrated culture and tradition unlike anything seen before in this genre. 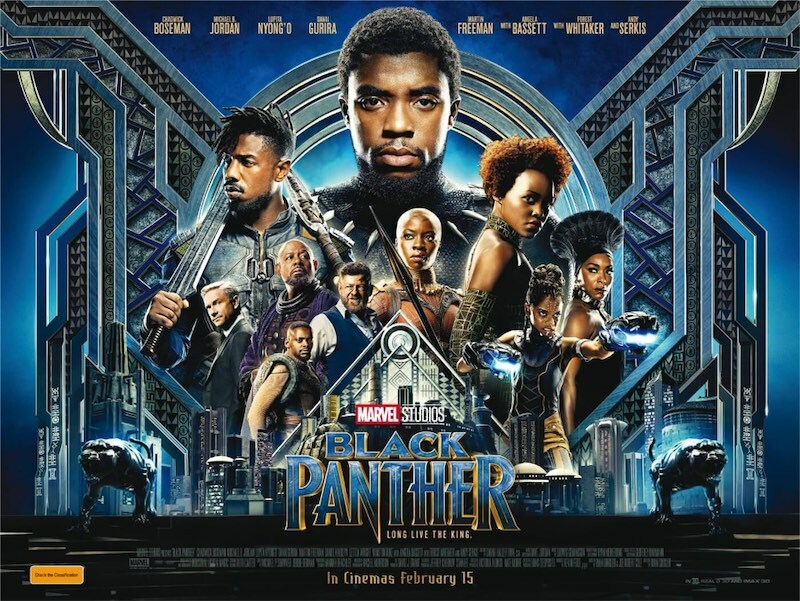 A film that resonated with people across the world – and not all of them Black or African – Black Panther would go on to break many a box office record, as the second-highest grossing film of 2018 worldwide, the highest-grossing film by a Black director and the first superhero film ever to be nominated for the Academy Award for Best Picture, popularly known as the Oscar Award for Best Film, without the need for the ‘Best Popular Film’ (a category that was proposed in the wake of Christopher Nolan’s The Dark Knight not being considered for Best Film because it was a superhero film). A commendable feat that must be seen in the light of our times. A year since its original release, Black Panther is returning to select theatres, still finding new audiences, and has shown that, if nothing, a work of art that celebrates indigenous cultures and tells stories often relegated to the fringes of the mainstream – be it in music or literature and especially in blockbuster Hollywood movies – can become a phenomenon in its own right, and that being Black or belonging to a minority culture should be celebrated, and that films depicting it can be commercially viable. It may seem that almost two decades into the 21st century, this is not the right time to speak of this as an achievement, given how much you’d expect the world to have moved from the stereotypes of the decades past. But look around you, and you’ll see why we need ‘a Black Panther’ more than ever. In fact, many more Black Panthers. Because we live in times when a person such as N.K. Jemisin, the first African-American to win a Hugo Award for Best Novel (for The Fifth Season) and the first person to win three consecutive Hugos for best novel from 2016 to 2018 for her Broken Earth trilogy had her first novel, The Killing Moon, initially rejected on the assumption that only black people would ever possibly want to read the work of a black writer. A misplaced sentiment that harks back to the same idea that a film about a Black superhero with a Black director, a technical team made up of Black people and a cast that is composed almost entirely of Black people will not achieve mainstream success. This is where Black Panther becomes more significant than a blockbuster film, and its success becomes a testament to the fact that long-marginalised people can rejoice in their roots and culture with pride and speak unflinchingly about their politics and identity. One hopes that the Black Panther film is just the beginning, and there will be many more ‘Black Panthers’ for us to enjoy and celebrate. What do you think was the impact of Black Panther? Do you think the movie should win the Oscars? Share with us in the comments. 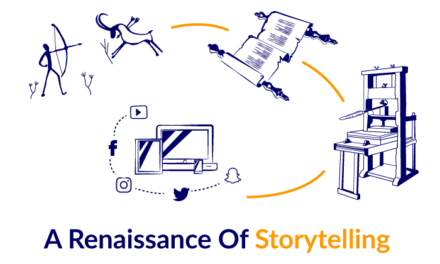 T. Gautham Shenoy is an advertising professional and a lifelong reader who enjoys geeking out on comics and science fiction. 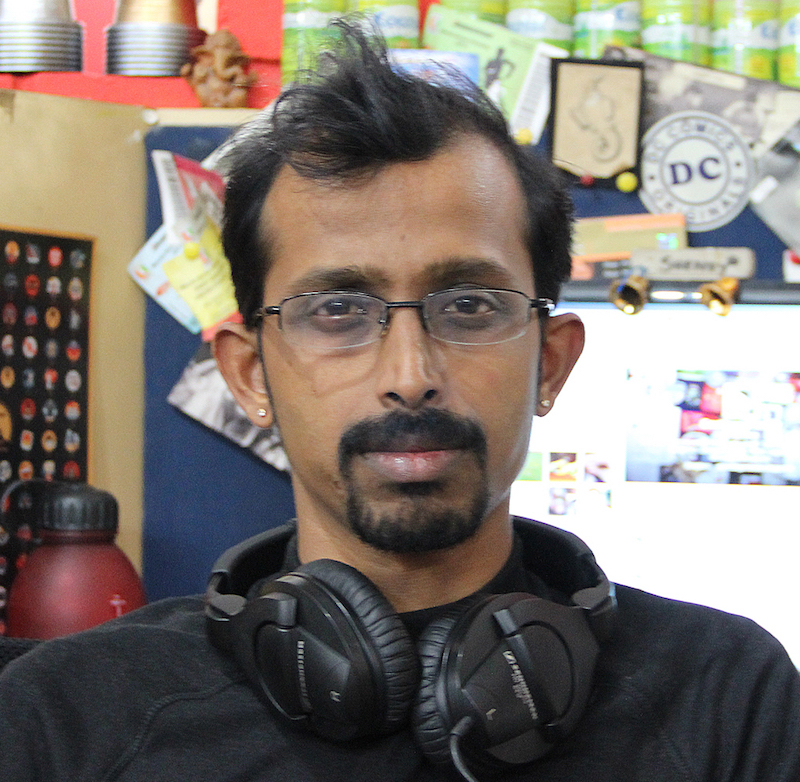 Shenoy is also the writer of India’s longest-running weekly SF column ‘New Worlds Weekly’ at FactorDaily. Follow him on Twitter.